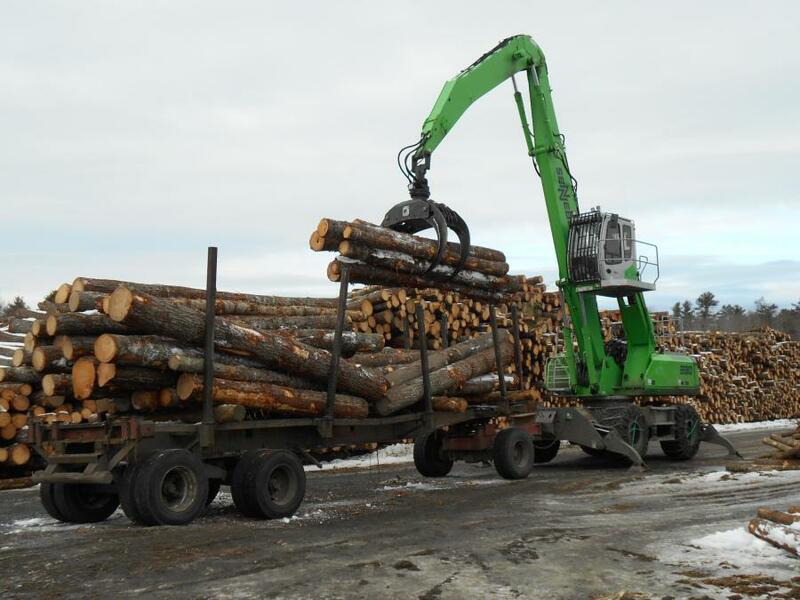 Harry Freeman and Son Limited added a second Sennebogen trailer pulling log loader equipped with a Rotobec F1250 HD rotator grapple capable of handling more than 1.5 yds (1.15 m) of 16 ft. logs. 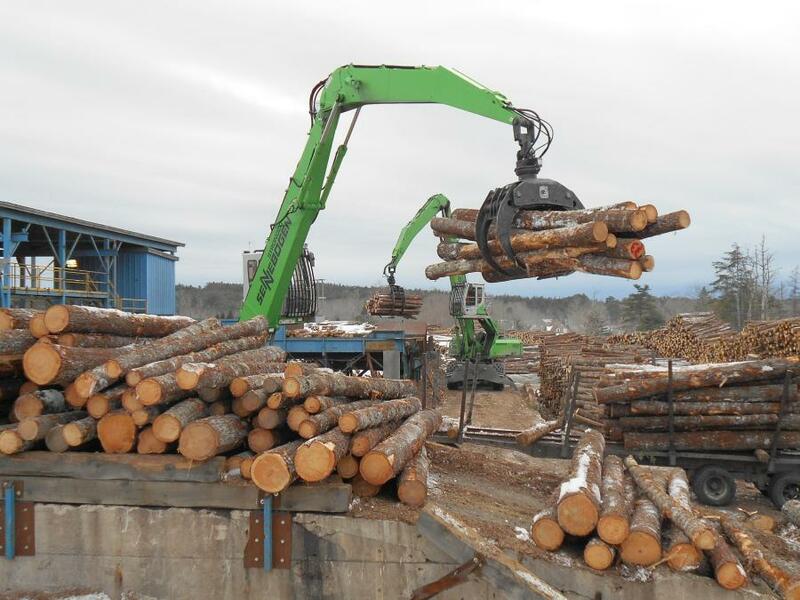 “The decision for our second Sennebogen was a lot simpler than the first,” Steven Freeman said, recalling the trials and deliberations that led his family to purchase a Sennebogen 830 M‑T log-handler four years ago. Freeman represents the sixth generation of his family to manage Harry Freeman and Son Limited, located about 100 miles south of Halifax, NS, in the midst of Nova Scotia's White Pine forests where they process spruce and Eastern white pine. Operating since 1832, the Freeman mill has always taken pride in progressively updating its equipment and processes. Sennebogen designed the 830 M-T specifically for this kind of work, combining excellent reach and lifting efficiency with rugged all-wheel drive trailer-pulling capacity, according to the manufacturer. Harry Freeman and Son Limited's first 830 was put to work forwarding wood for the stud mill processing 8 to 10 ft. (2.5 to 3.0 m) logs. Meanwhile, the random wood mill relied on a wheel loader fitted with a log grapple to bring in mostly 16 ft. (4.9 m) and 12 ft. (3.7 m) logs. 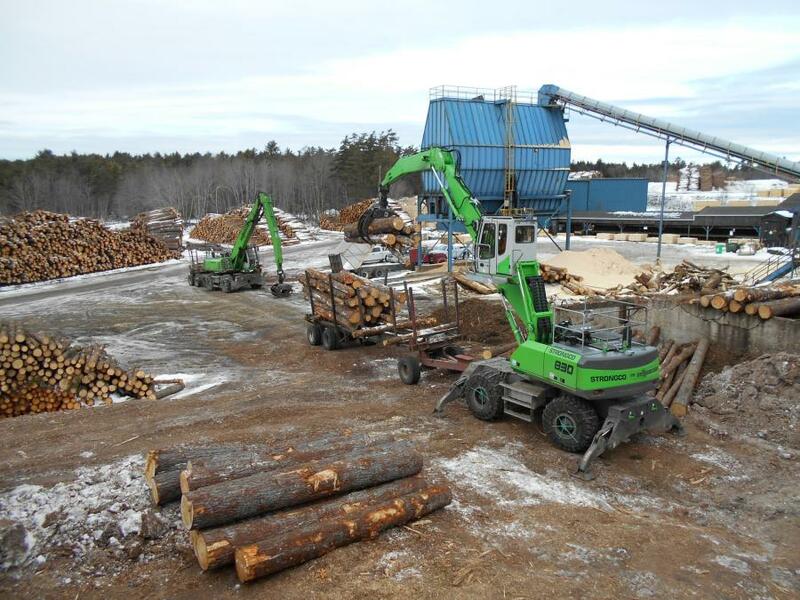 The Freeman mill produces approximately 100 million board feet (30,480,000 m) of lumber per year. With a staff of more than 150 over two shifts, having a whole crew standing around, waiting for wood, is not a good thing. The family conducted its due diligence before ordering another 830 M-T to take over duties in the random yard. Consideration was given to buying a pick and carry machine instead, but the decision moved quickly to adding a second Sennebogen trailer pulling log loader equipped with a Rotobec F1250 HD rotator grapple capable of handling more than 1.5 yds (1.15 m) of 16 ft. logs. “First, we knew what we're getting,” Freeman said. “Getting the same machine again means we have the same equipment to service and same parts to stock. Our support from Strongco, our Sennebogen dealer, has been excellent. Standardizing on the Cummins engines are helpful. There's nothing exotic about them for us to maintain. Plus, the 830 gives us the extra flexibility of two machines that can feed the mill, as well as forward the wood.